Description: The classic tale brought to life by Stuart Tresilian's superb b&w illustrations. 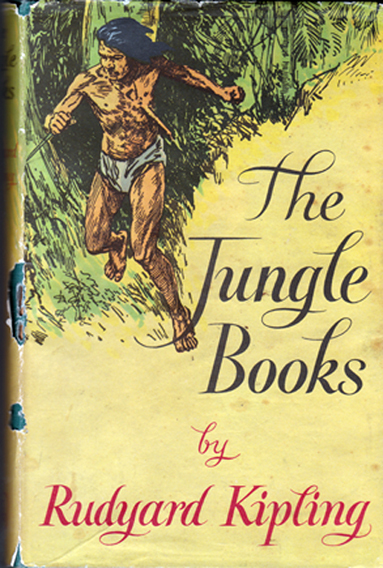 As the title suggests, this combined edition includes both Books: The Jungle Book and The Second Jungle Book. The jacket is complete, except for some minor loss where the spine meets the cover – visible on scan – and there is a 6 cm (2.4") tear along the back near the spine. The book is generally in very good condition: the pages are unmarked and free from foxing. The only defects are some slight damage along the spine (refer to scan) and discolouration to the ffep and rfep (where the boards have made contact) and some minor foxing on the front of the jacket. A nice copy for its age. Measures 8.8″ × 5.8″ (22 cm × 14.5 cm). 8vo. 320 pp.